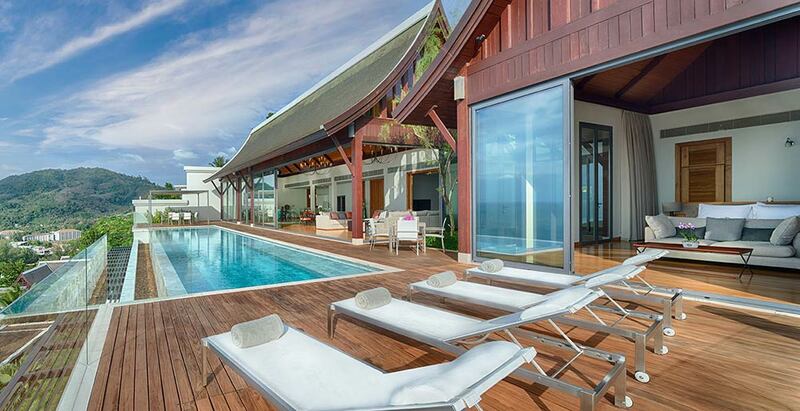 Villa Haleana is a vibrant luxurious six-bedroom holiday home with sweeping views over Nai Thon Beach on Phuket’s peaceful northwest coast. Set in the ultra-exclusive Malaiwana hillside estate, the villa is an enviable choice for families and groups seeking complete serenity and five-star care. It offers elevator excess to the lower floor, ideal for the more senior family members. Let the days blissfully unfold with dips in the 18-metre pool, massage treatments in the lavish spa, quiet reads in the study, workouts in the private gym or simply relaxing in the outdoor and indoor living areas. The plush bedrooms include two master suites with romantic marble bathrooms, while a manager, chef and housekeeping staff provide polished service. Adjoining to the villa you will find a lovely lawn with stunning seaviews and sunsets, perfect for your Wedding celebration.